LIVE REFINED. 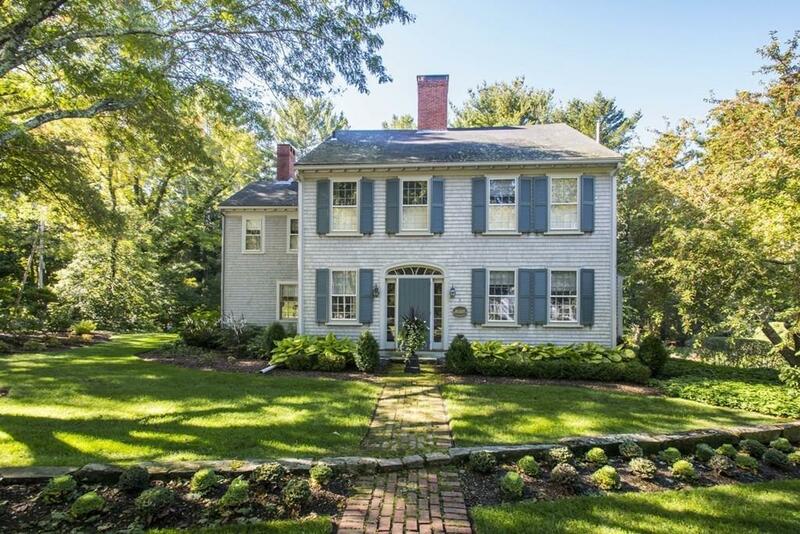 Meticulously and lovingly restored federal colonial in a peaceful country setting. Beautiful wide pine floors, craftsman detailed woodwork, smart and functional built-in cabinetry...â¦.custom wood shutters throughout. Two newer gas fireplaces bring warmth and coziness. Bright and sunny family room overlooks 1.5 acres of exquisite gardens, complete with babbling brook, waterfalls, footbridges, terrace and stone walls. This house offers a perfectly placed home office just off family room with walls of windows bringing the outside in. Detached peg constructed period barn. Newer furnace, hot water heater, septic, windows, and new roof. Walkout basement has high ceilings, fireplace and offers potential to finish. This is your country retreat...just 40 miles south of Boston. A quick drive takes you to the hidden gem of Gray's Beach Park, shopping, dining and the commuter rail. You couldn't ask for a better location...feel like you're away from it all, yet so close!